Lock in a great price for San Juan Eco Hotel – rated 9 by recent guests! Premises and location. And a very nice staff (only one I the reception was not kind at all: David (see below). The location is the best if you want to be near the airport. Good value, close to airport and falls, friendly staff. The staff was so nice in helping us organize our trip of the Brazilian side of the Falls including the Bird Park and the boat ride, as well as the shuttle to drive us to the Argentinian side at the end of the day. Breakfast was nice, so close to the airport, highly recommended. 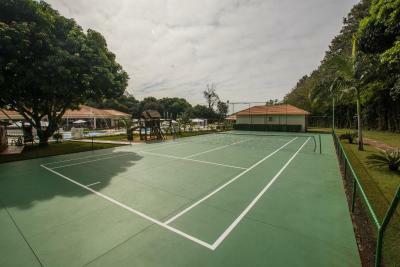 Great location just 5 min from the airport and 15-20 min from Iguazu Falls. Staff super accommodating and the facilities are very family-friendly. Great value as well. Highly recommended. The reception and location were exceptional. Very comfortable room. Nice pool area. Good activities for kids. Good location. The food option the hotel has are great. And the facilities are really clean. San Juan Eco Hotel This rating is a reflection of how the property compares to the industry standard when it comes to price, facilities and services available. It's based on a self-evaluation by the property. Use this rating to help choose your stay! 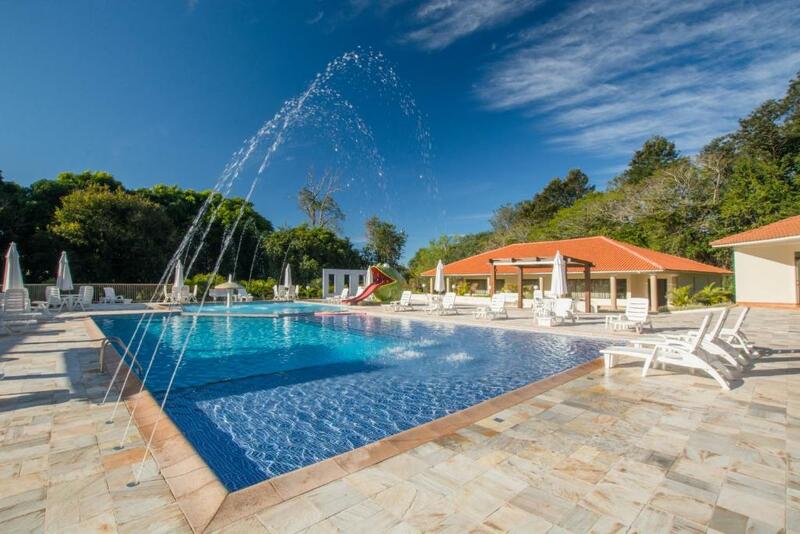 One of our top picks in Foz do Iguaçu.The San Juan Eco Hotel is on the outskirts of Foz do Iguaçu, where you can enjoy a peaceful environment, several recreational options, a large green area and free parking lots. 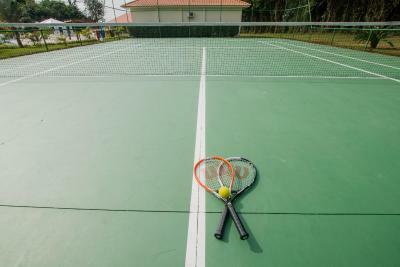 Amidst the gardens, you will find a games room, tennis court and soccer field, as well as a swimming pool, where you can get tan while savoring a fresh drink and listening to the birds. A sumptuous breakfast served in the restaurant will provide you with the energy necessary for intensive sightseeing days. Room service is available 24 hours a day. The 4-star San Juan Eco Hotel is about 6 miles from the Iguaçu National Park and the Iguaçu Falls, which you can visit going on guided excursions offered by the tour desk of the hotel. When would you like to stay at San Juan Eco Hotel? This air-conditioned room features a TV, mini-bar and private bathroom. It cannot accommodate extra beds. This single room has a cable TV, air conditioning and mini-bar. 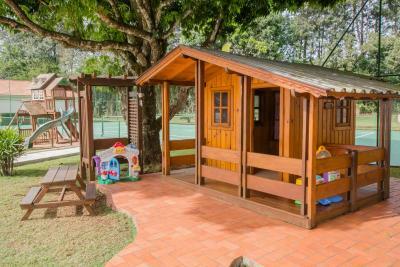 Located amidst lush nature of Foz do Iguaçu, the San Juan Eco is fun guarantee. There are 94 apartments and infrastructure that values the comfort and tranquility of guests. 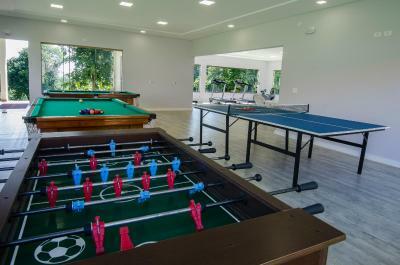 The recreational area of the hotel offers swimming pools for children and adults, green area for a walking track, courts for sports, games room, plus the specialized tourism services that offers sightseen packages to visit the main attractions of Foz do Iguaçu. House Rules San Juan Eco Hotel takes special requests – add in the next step! One older child or adult is charged BRL 70 per person per night in an extra bed. San Juan Eco Hotel accepts these cards and reserves the right to temporarily hold an amount prior to arrival. Please note, for reservations of 4 rooms or more, the first night will be charged in advance. Please note that only the airport shuttle from Foz do Iguaçu´s airport to the property is free and must be requested 48 hours in advance. The breakfast was good but evening buffet not so good. The staff went out of their way to be helpful and to support us with any arrangements or questions. The young man on reception during our stay was particularly charming. The hotel is located outside of town, so if you want to go eat inside the city you probably will have to take a taxi or Uber. 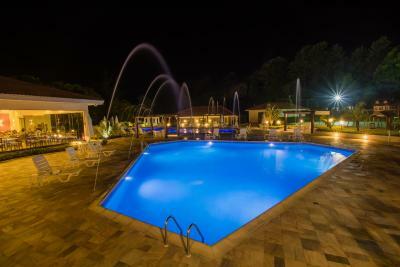 The hotel is very nice with a large pool are and sports facilities. The breakfast options are varied and all of the staff was very nice. It’s close to the Brazilian side of the foz de Iguaçu falls and to the bird park. Great food - buffet had a huge range; pools were fantastic for kids and adults; excellent service when booking transport and a tour. The very unfriendly actitud of one staff member in the reception: David. Very unpleasant, not polite at all and making bad faces. Really poor attitude. The staff were very helpful and the pool area is great. We especially enjoyed the pool bar. Breakfast was good with a wide variety. The location is out of town, but the tour agency helped us with reservations and transportation to restaurants in town. A wonderful place to relax and enjoy the falls. 1. Very good breakfast. 2. quiet neighborhood 3. 15 min drive from the airport, 15 min drive to the waterfalls. 4. Good wi-fi. 5. Spacious rooms 6. Every day room cleaning. 7. Beautiful territory with 2 swimming pools. Arrived on the early morning flight from Rio, a short 15 min ride from the airport, got to the hotel at 6 am, had breakfast and got the key to my room by the nice lady at the reception (earliest check-in I ever had, most hotels make you wait longer...), then went down and booked the day trip to the falls at the on site travel agency, again friendly and professional, they organise everything for you. Nice small hotel with friendly staff close to the great Iguassu falls site. Squeeky bed keeps you (and everyone else) awake half the night. Lack of any bedside lights means there is only one light in the room. I wish the bathroom had had a bathtub. That's all I didn't like. The room I stayed at was big, with comfy beds and pillows. The bathroom was also big. Many options for breakfast, even sopa paraguaya! Not too salty eggs, and not to runny, which is great. The coffee is ok, and you can also get hot cocoa and tea. The swimming pool is big and well kept, even after it rained, the staff kept it clean. There are two pools, one for children and one for adults, though there is no security divide between the both of them. The staff is really friendly, there is a souvenir shop right at the entrance. Room service is prompt and quite good, big portions too, I had trouble trying to eat all of my food by myself. Well priced too. I'll come back. Demasiada gente, imposible estar en la piscina.